Bugs fixes and performance improvements. 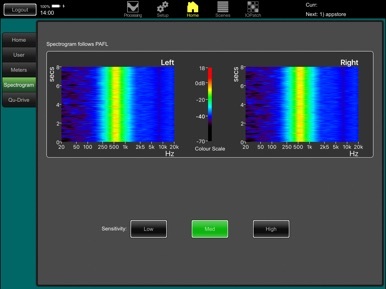 Qu-Pad release V1.92 for iPad. This version is for Qu mixers running V1.9 firmware. Qu-Pad is an engineer’s live mixing tool providing wireless mobile control for the Allen & Heath range of Qu digital mixing consoles. It gives you the freedom to walk the room or stage and control the sound right where it is needed. 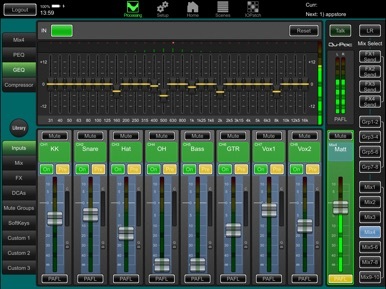 Qu-Pad and the Qu mixing console can work together to provide simultaneous control of independent functions, for example one engineer using the console to mix front-of-house sound, and another using the iPad to mix monitors on stage. Qu-Pad supports up to two iPads. The Qu mixer supports a maximum of 8 iOS devices with the others running the Qu-You Personal Monitor app which is also available free from the Apple Store. 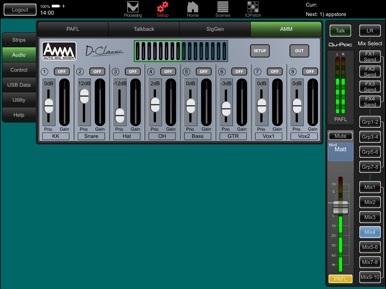 This version provides full control including mixing and setup functions. 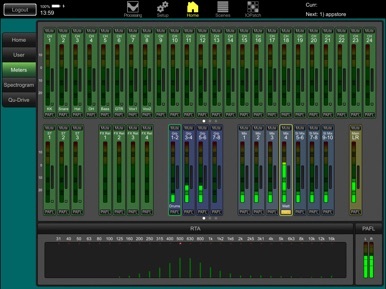 An Allen & Heath Qu-16, Qu-24, Qu-32, Qu-Pac or Qu-SB mixing console running V1.9n version firmware (n=0-9), with a suitable wireless router (wireless access point) connected to its Network port. 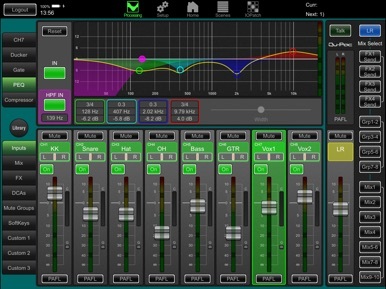 The Qu mixer firmware and Qu-Pad app maintenance version numbers ‘n’ do not need to be identical, for example Qu-Pad V1.90 would run with Qu mixer V1.91. Refer to the Allen & Heath web site for more information and to download the latest Qu mixer firmware.